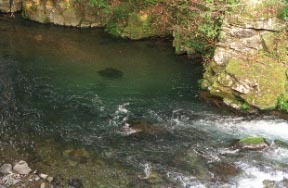 They are a dominant peak in Izu, and a hot spring which a flow Hontani river meets with a Nekko river north from 1406 m of Mt.Amagi-Manzaburo-dakes, and serve as a Kano river and which it hits, and a beautiful clear stream flows and is crowded with ayu fish angling or firefly catching.The runner involving the joint hot spring of a Seko or a Nishihira is fixed along a ravine, and a stroll is possible, enjoying hot spring sentiment and a ravine.Once, the traveler of an Amagi-goe is the hot spring which passed the previous night, and is known also for having become Yasunari Kawabata's "dancer of Izu" stage. 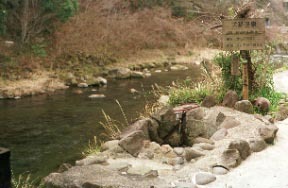 The child of a swim in a river says till hot-water-quantity Toyotomi and these days that he warmed the body with the hot spring which wells ups to here and there [ of a dry river bed ].There is also a dog-and-cat hot spring.An after bathing and the skin were the hot springs which become a crane crane. The old Amagi tunnel which appears in "the dancer of Izu." It met many deer night. 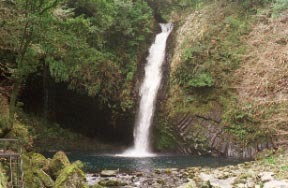 There are also a "Jyorenno-taki-waterfall" mass fishing spot and a Japanese horseradish field. The clear stream of an "encounter bridge" to a Kano river.It is a famous place of a firefly in summer. There is also a free dog-and-cat hot spring. Neuralgia, muscular pain, the arthralgia, a frozen shoulder, gout, rheumatism, gastroenteropathy, women's diseases, etc.